Starbucks Sip Thru Lids are the highest quality available. 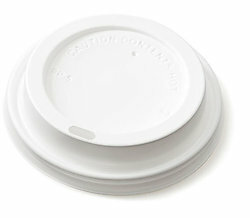 The come in packages of 100, and are designed specifically to fit the Starbucks 12 oz Hot Cup. They are arched in the center like a "dome", not the less expensive "flat" variety you get at some places. Of course they are the best lids, they are from Starbucks Coffee.